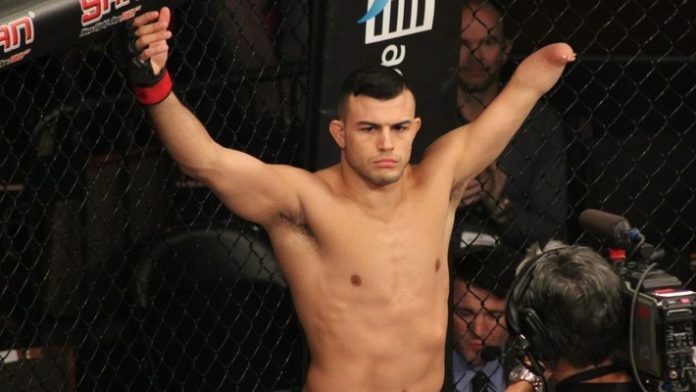 Nick Newell is ready to prove he belongs in the Ultimate Fighting Championship (UFC). Newell will get his chance tomorrow night (July 24). He’ll go one-on-one with Alex Munoz on the 14th edition of Dana White’s Tuesday Night Contender Series. On the series, fighters get a chance to compete on UFC Fight Pass. The athletes who impress Dana White and UFC officials the most end up earning UFC contracts. MMA News will have live coverage of DWTNCS 14 tomorrow. The action begins at 8 p.m. ET. Do you think Nick Newell will earn a UFC contract tomorrow night?